Nice hand made silver Blue Goldstone Wrapped Pendant. 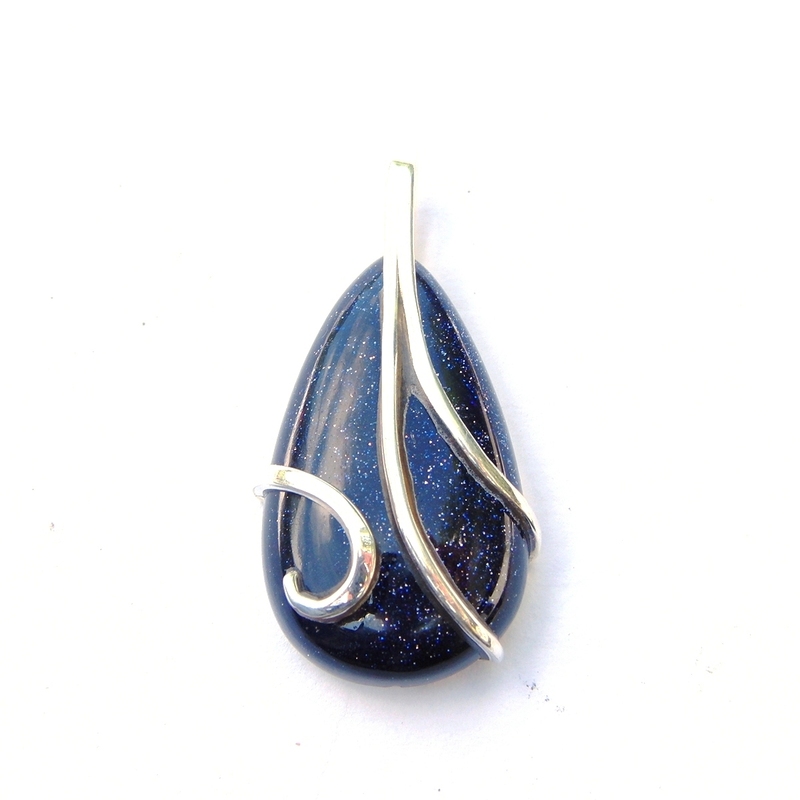 This Blue Goldstone Wrapped Pendant has a lovely 26mm x 16m teardrop crystal which has wraps of silver of which 2 sweep from the lower right side up to join and form the loop and a twisted loop from the left centre swirling down. It is size approx 3 1/4cm incl bale. This website is strictly for approved Wholesale customers only, if you are looking to purchase this Blue Goldstone Wrapped Pendant from a retail store, please visit Shooting Star.